Are you looking for the best pest control companies? My Pest Pros is a family-owned and award-winning pest control company located in Fairfax VA. We provide the most effective pest control treatments to eliminate pest problems for residential and commercial properties in the Washington, D.C. Metro area. We’re a customer service company from start to finish. What that means for our clients is that we will provide outstanding professional service from our office staff to your home, quality products that we guarantee and value. We practice integrated pest management techniques, which means identifying the source of a problem and trying to prevent it with the least harmful non-chemical, “green pest control” means before using pesticides. We also employ a variety of organic pest control products. I highly recommend MyPestPros. Thomas, their technician, devised plans that permanently rid my property of ground bees and ants. He explained to me the habits of both insects, the types of insecticides that work, and the time of the year to spray for best results. In comparison, other companies treated the problems without providing details, which created annual problems for me, and a reoccurring source of revenue for them. 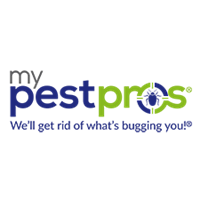 Consequently, I will use MyPestPros for any number of future pest problems that can occur in Fairfax County. We are very pleased with the services. My Pest Pros makes dealing with pests seem really easy. They handle all the pest maintenance for our home on an annual schedule and answer any questions that we have. I am very pleased with My Pest Pros and would recommend them to anyone. Excellent and accurate service provider. A Prst Company is only as good as the technician who comes to the house to keep problems away or to handle an issue. Frank T. services our home and he is terrific.👏. The two times I've used My Pest Pros I have been very impressed with the professionalism of the workers, their friendliness, the service provided, the efficiency and timeliness. I'm glad I found them and will use them again should the need arise. Gary is very dedicated and pleasant to work with. We will win over those mice yet. The tech did a great job! Gary is so thoughtful. We appreciated him working around the time our company would be arriving. Very responsive, quick service. No questions asked, returned two weeks later to remove add’l nests at no cost. Highly recommended! Excellent service and will use My Prest Pros again!! They only came out once and sprayed around the house and inside of my garage.I initally had 2 areas where I had ants crawling around. It's been about a month since the treatment and still no bugs. I highly recommend My Pest Pros. The common areas of our homeowners association complex were nearly unusable due to mosquitoes until we started regular treatments by My Pest Pros. Now we have bite-free social events. I haven’t seen anymore critters since Brett from My Pest Pros arrived. He did a great job in finding out the best way to get rid of them. Brett is an amazing owner that is very attentive to our needs. He also made a personal trip out on a Saturday to deal with our fleas. I'm very happy with the service. I'm not so happy that the account grew to $800 before letting me know I owe money. The whole year this year is $350. Either I was charged an awful lot, or the account went YEARS without a payment! Brett and his team are extremely proactive and always staying on top of maintaining our place of business! Very professional, friendly, and effective! We have had no issues with our home thanks to the regular service that My Pest Pros is providing. Wonderful service - Frank was excellent, thank you! My Pest Pros always has a quick response time and their staff is always so helpful! Gary was extremely professional and the ants are gone! Had problems outdoors with carpenter bees and ants. The technician, Steve, came promptly on time and was on top of all the areas and problems I pointed out to him. The work was completed successfully, and to date there has been no sign of either of the pests that were taken care of. The service contacts at the company are also very cordial and cooperative, I commend My Pest Pros for their professional services. Gordon. Just switched to your services. Transition was clear and effectively communicated! Straight forward service. Can’t tell yet if service working until fully into season. He showed up early without warning, but besides that everything was fine. Pest Pros are obviously right there for you when you need help with getting rid off unpleasant ants/infestations. They reliably responded to my call and treated the area around my business location in time to get rid off the problem. Thank you!